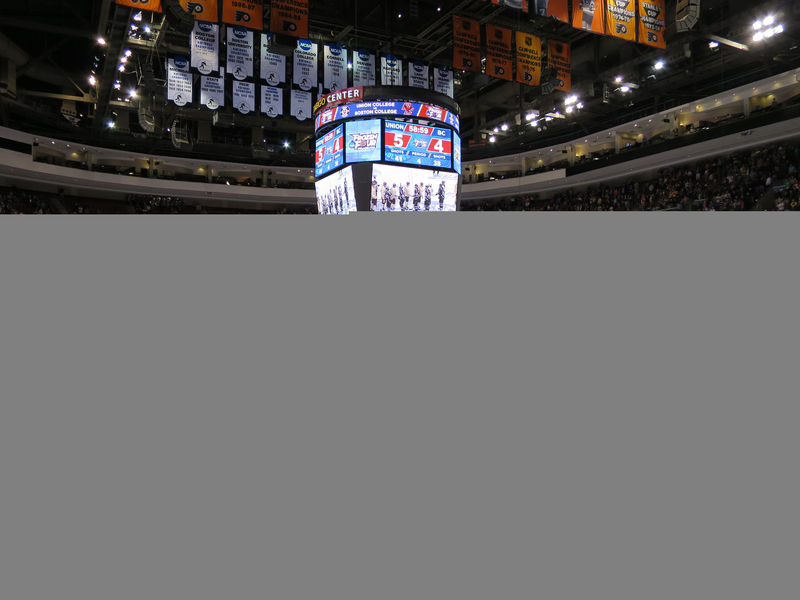 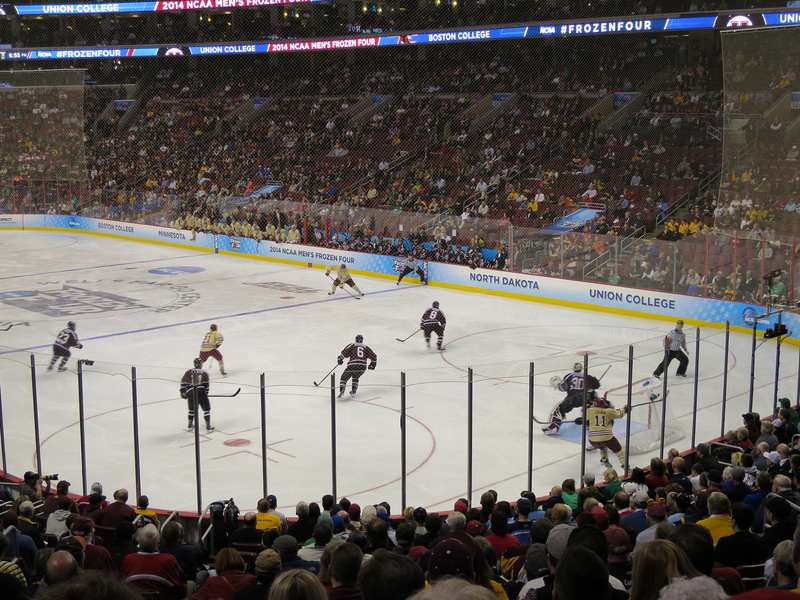 Tracy and I traveled to Philadelphia this year for the Frozen Four College Hockey Tournament, the hockey version of the more well known basketball final four. This year Union, Boston College, Minnesota, and North Dakota faced off for the title. 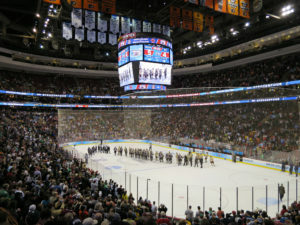 BC did not bring their A game, and was defeated by Union in the first game. 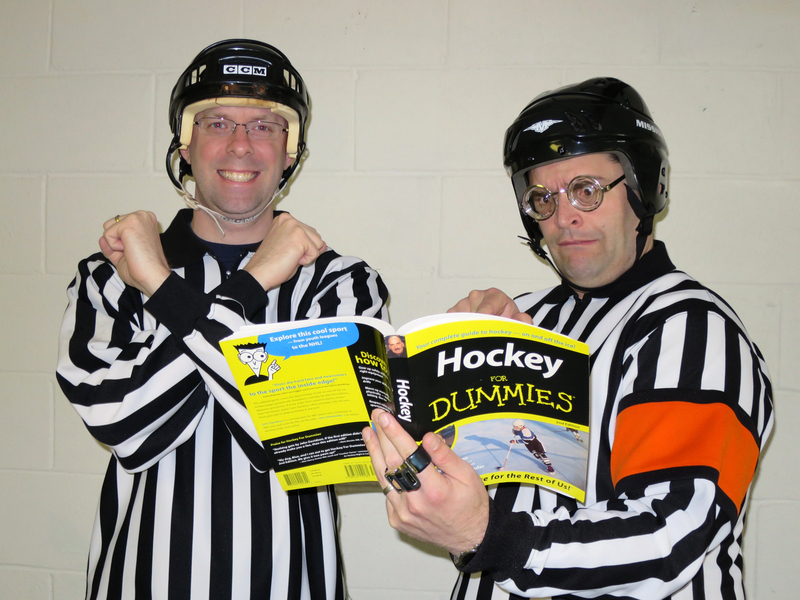 Though the score was 5-4, it really wasn’t that close of a game. 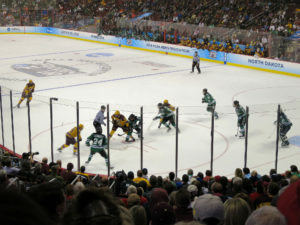 The next game was a thriller, with Minnesota scoring the game winning goal with less than a second left. 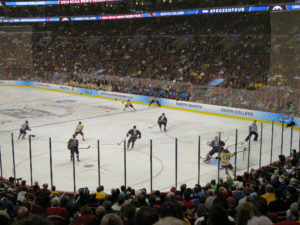 The final game was on Saturday night, and Union beat Minnesota and a high scoring affair 7-4. 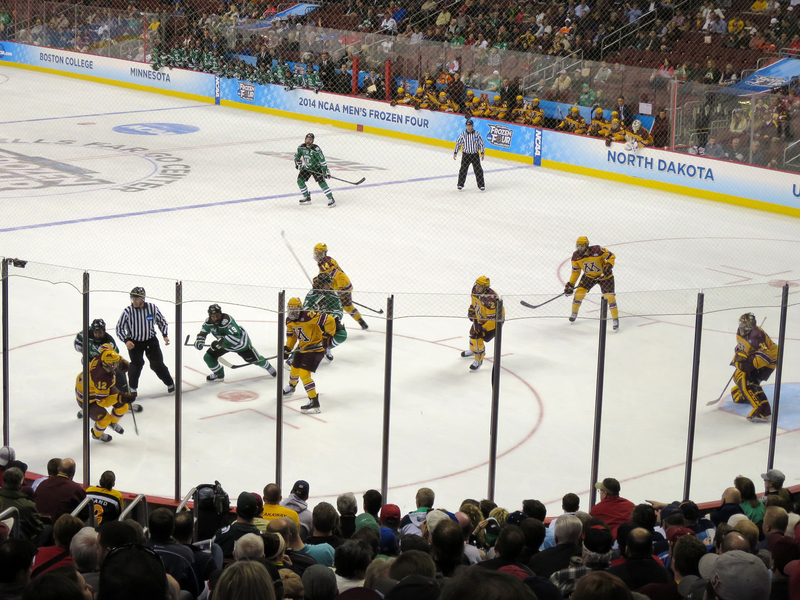 It was a lot of fun going to the games, and so much easier since we didn’t need to get a hotel and could stay with family. 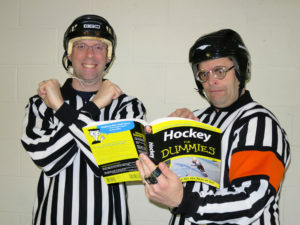 Craig and I dressed up as hockey refs and got to dance around and act like idiots on the jumbo-tron several times. 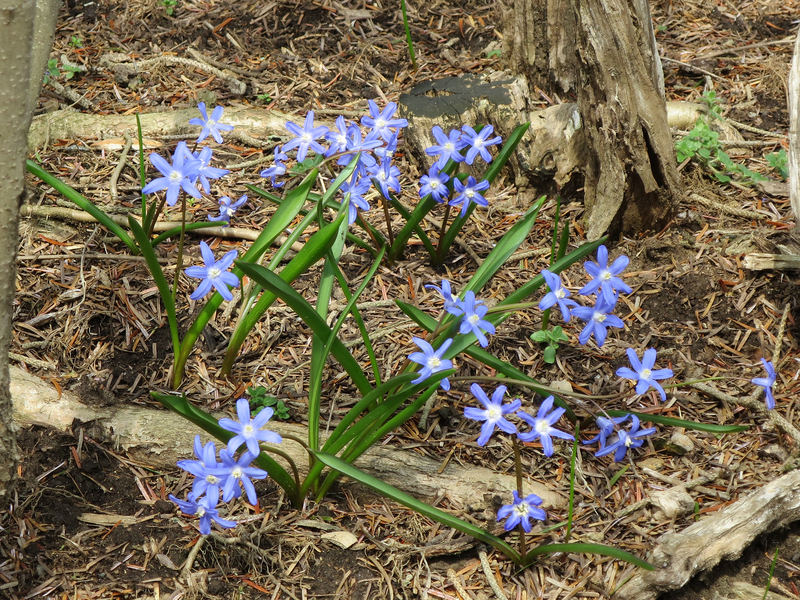 On Friday we went to Winterthur gardens to look at all the blooming flowers and plants. It was a fun trip. Next Next post: More Creatures!